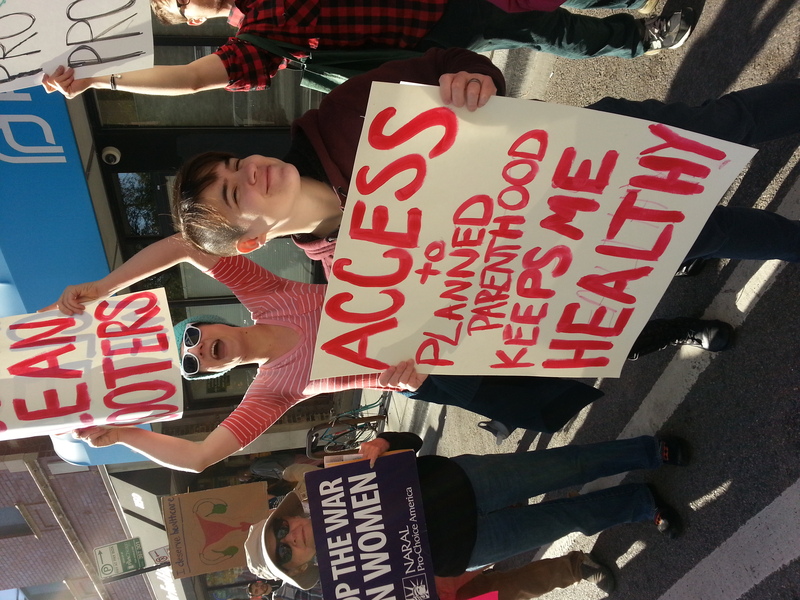 Chicago—On Sept. 29 and Oct. 10 people, predominantly women, came out by the dozens in several demonstrations to support Planned Parenthood against attacks and not only by anti-abortion fanatics. Some well-funded crackpots created a video full of lies (see “Editorial: Planned Parenthood under siege,” Sept.-Oct. 2015 News & Letters), which the U.S. Congress took as their opportunity to launch not one but two investigations of the organization. Republicans are determined to destroy our right to control our own bodies, including abortion and birth control, or even just healthcare. 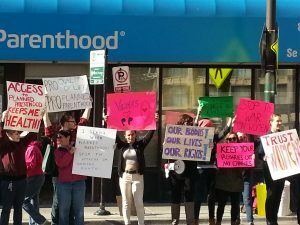 But we are fighting back and what was clear at our demonstrations was that we and Planned Parenthood have a whole lot of support. The action on Sept. 29 was at a park on the North Side of Chicago on a busy street corner at rush hour. 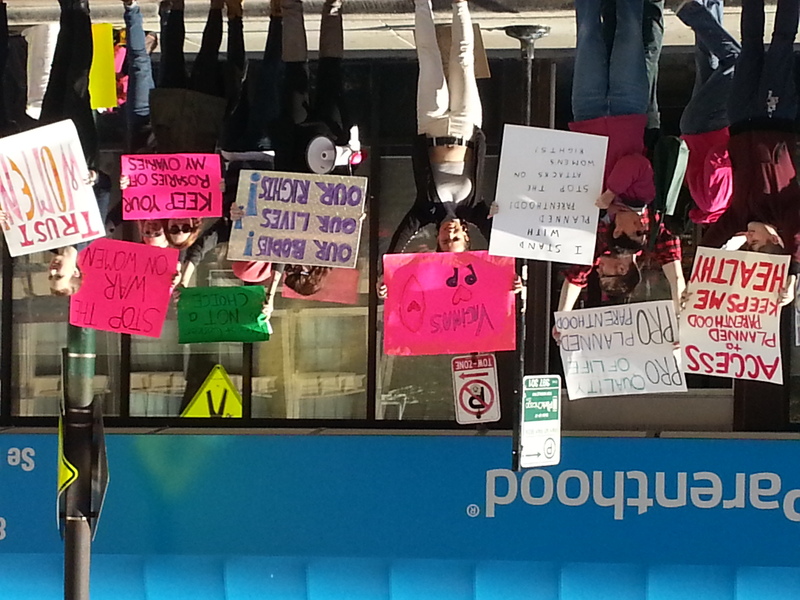 Called by one woman using facebook, about 50 of us came to show support for Planned Parenthood. What was crystal clear was the tremendous response from passersby to our “Honk if you support Planned Parenthood” signs. At times the noise was deafening! Both women and men honked horns and gave us the thumbs up sign or a raised fist. The actions on Oct. 10 were part of a national movement to counter anti-abortion bullies who were set to protest clinics all over the U.S. They were at three Planned Parenthood facilities in Chicago. At each site here, we overwhelmingly outnumbered the zealots. These rallies were organized by two women, Elizabeth Harrison and Eleanor Shoshany Anderson, also using social media. They “wanted people to know that we represent a silent majority,” a majority that is starting to speak out and demonstrate. Groups there included Access Living, LGBTQ groups, FURIE, and News and Letters Committees. 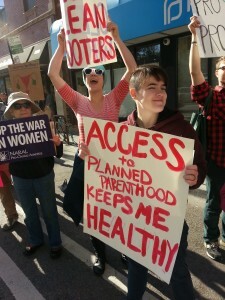 This entry was posted in Articles and tagged Access Living, anti-abortion fanatics, birth control, Chicago, demonstrations for reproductive justice, FURIE, LGBTQ groups, News and Letters Committees, Planned Parenthood, Reproductive Justice, war on women, women's healthcare. Bookmark the permalink.